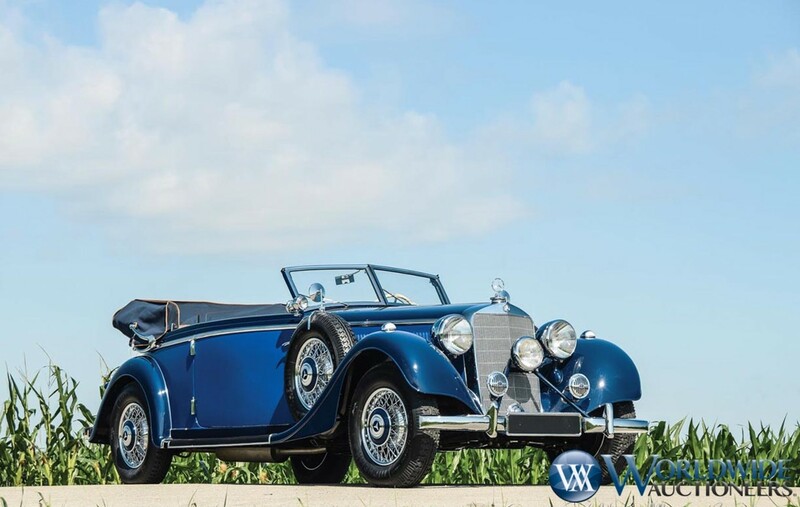 We’ll pick up in October where we left off in September: with Bonhams and their Zoute sale in Belgium. 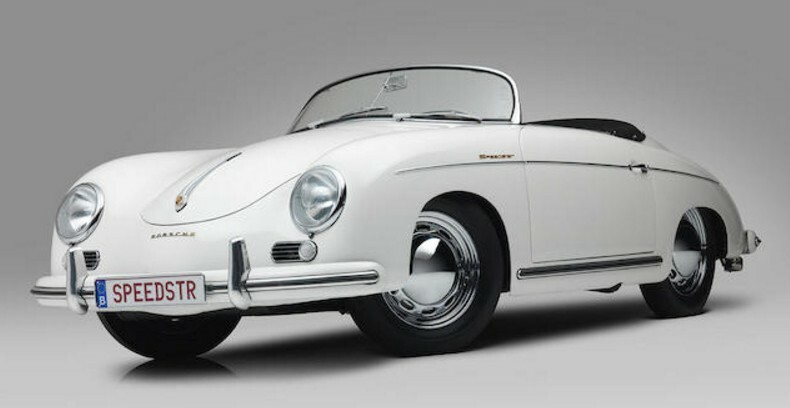 The top sale was this 1955 Porsche 356 Pre-A 1600 Speedster that brought $653,361. The Porsche 911R we featured broke the bank, too, bringing $538,062. Complete results can be found here. 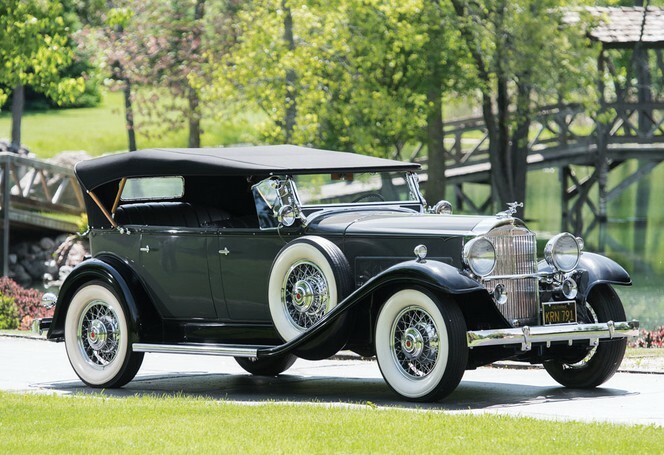 Now onto the biggest sale of the month: RM Sotheby’s in Hershey, where one of the Duesenberg‘s we featured came away as the top sale at $2,090,000. 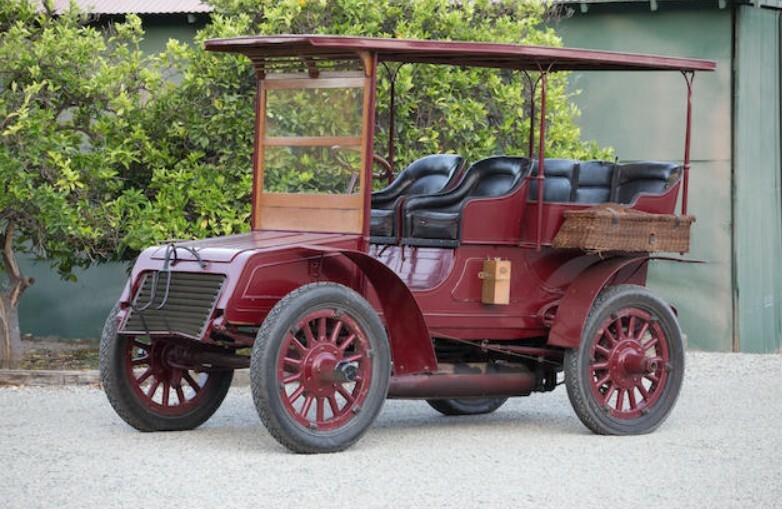 The other Duesey, the Prototype Model J, brought $340,000. 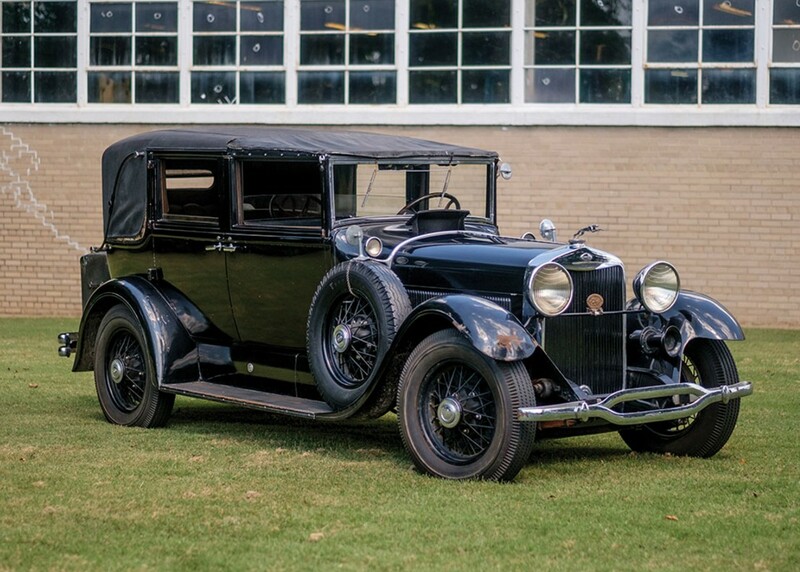 The Regal was the only no-sale among our feature cars and our Most Interesting award (not to mention well bought) goes to this 1929 Lincoln Model L Five-Passenger Brougham by Brunn that was bought new by gangster Legs Diamond. It sold for $38,500. 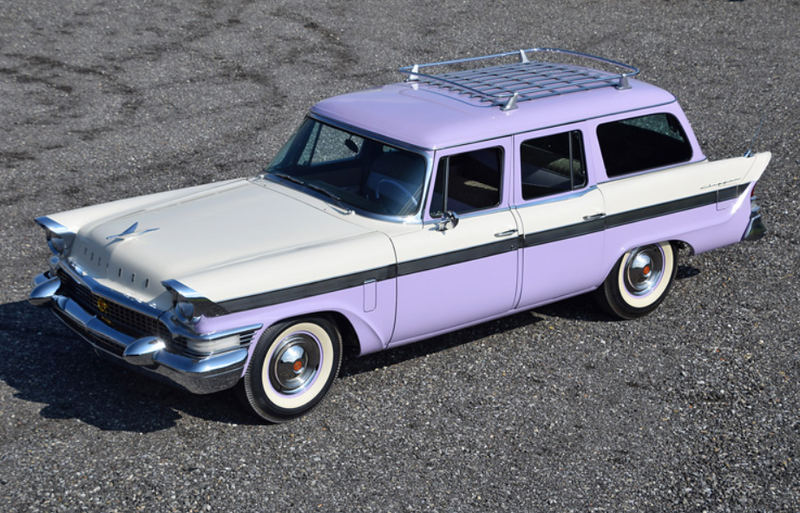 Other well-bought cars included this Oakland Touring for $44,000 and this Pullman Touring for $51,700. 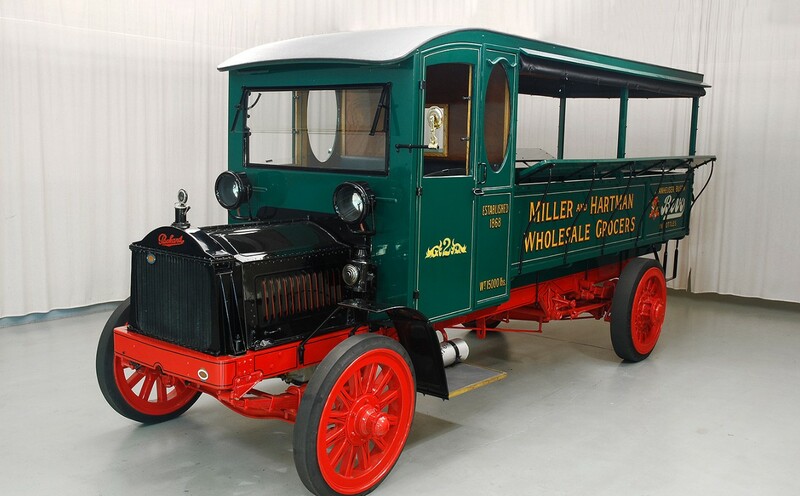 The other Pullman brought $66,000 while a previously-featured White Yellowstone Park Bus sold for $88,000. And finally, the Chalmers sold for $71,500 and the Winton $160,000. Full results can be found here. 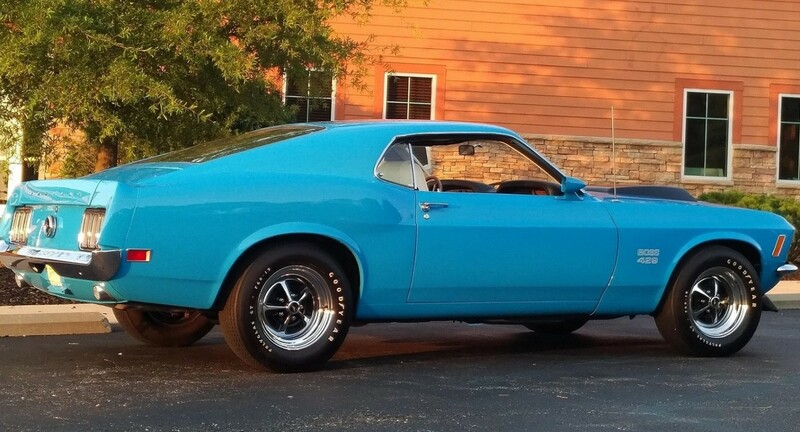 Mecum’s Chicago sale ended on October 8th and this 1970 Ford Mustang Boss 429 Fastback was the top sale at $245,000. 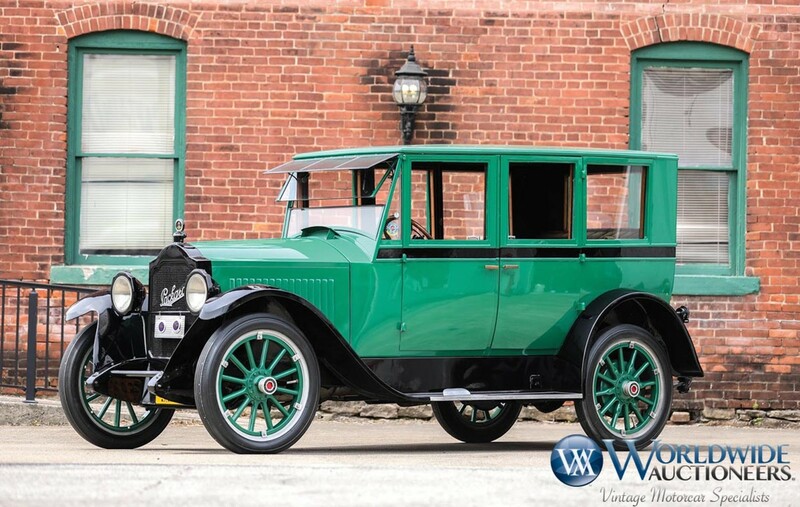 The Reo The Fifth Touring car we featured failed to sell, having been bid to only $9,000. Click here for complete results. 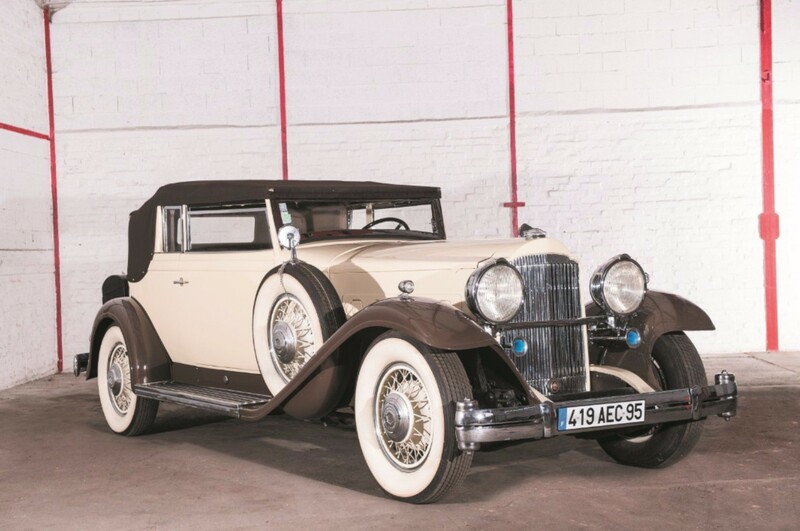 Artcurial liquidated a collection in France that featured a variety of American vehicles, where the top seller was this 1932 Packard Deluxe Eight Model 904 Convertible Victoria in the style of Rollston for $58,696. The Matford we featured brought $20,010 and the Meteor $8,004. Click here for more results. 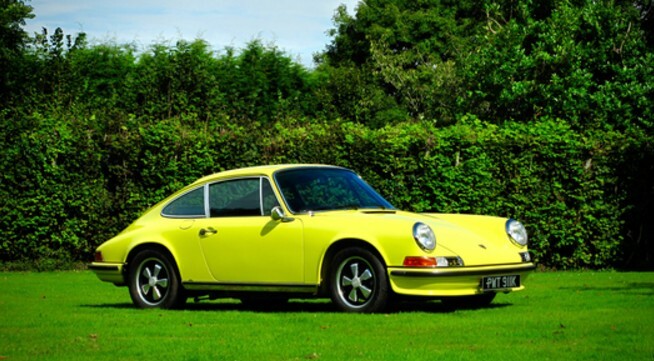 Silverstone Auctions held an all-Porsche sale in October and this 1972 911 S 2.4 Coupe was the top sale at $243,925. Click here for complete results. 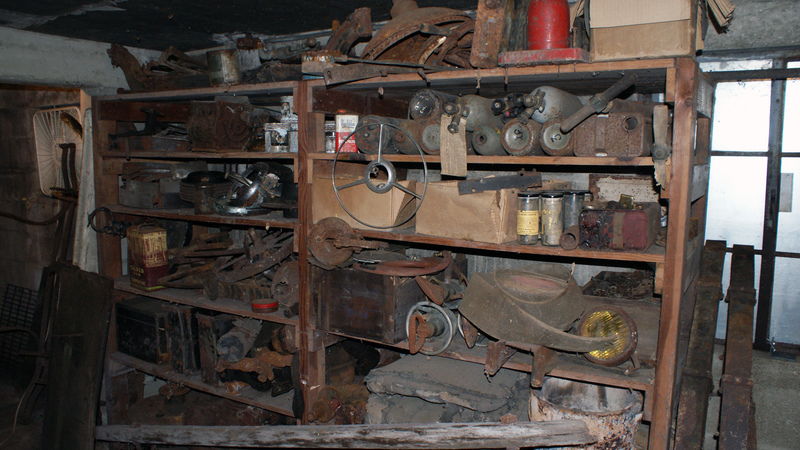 I was recently invited into an old garage that the new owner has been cleaning up for some time. 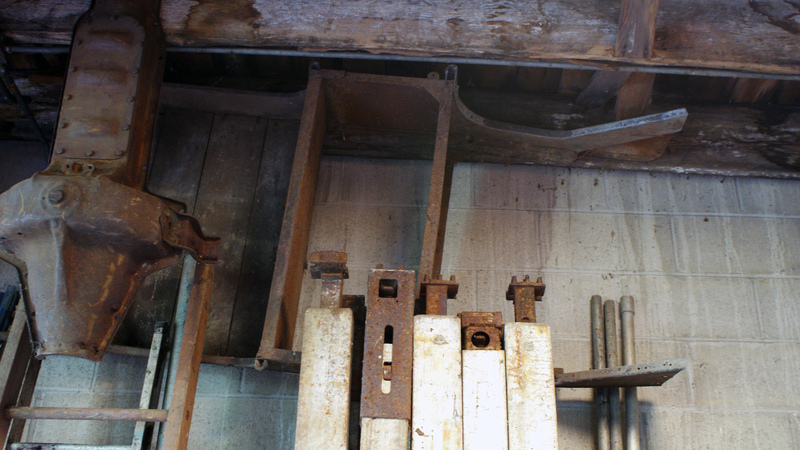 The story is a couple of guys bought it in the late 1950s and began just piling old cars (sometimes in pieces) in a two-level garage near Cincinnati. It was one of many properties they had. When the owner of this place passed, a car guy from a new generation bought it and everything in it. He’s been clearing it out, selling some stuff but keeping the interesting bits. 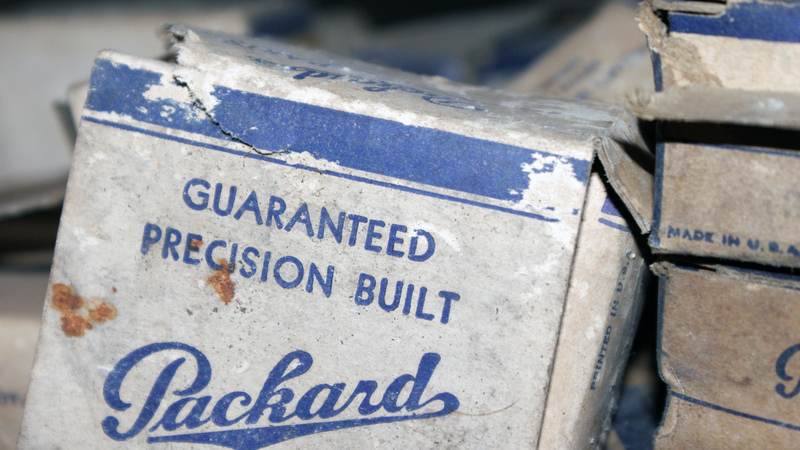 The boxes might look worn, but this stuff was never used. 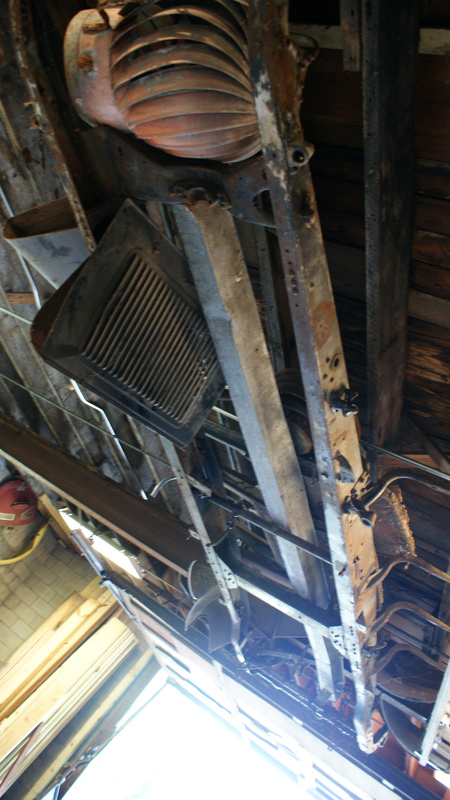 That’s a big Lincoln chassis… strapped to the ceiling. There’s some nice Pierce-Arrow fenders and doors up there too. 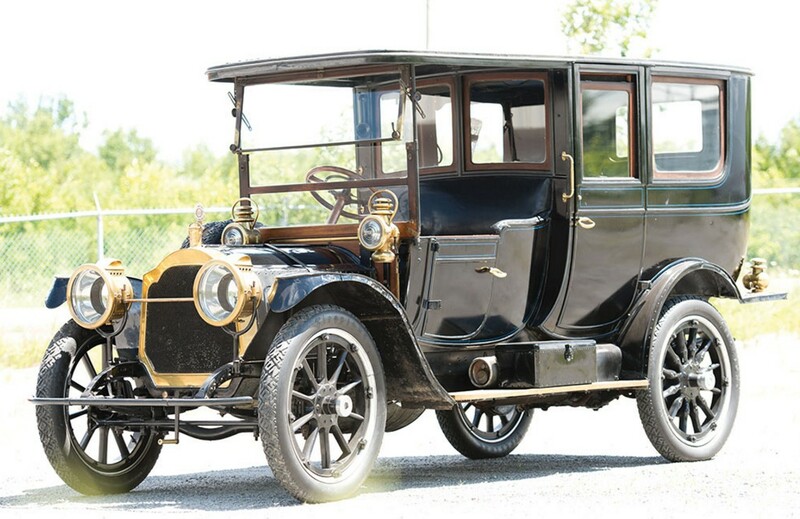 Pictured: pre-war Lincoln. Some assembly required. 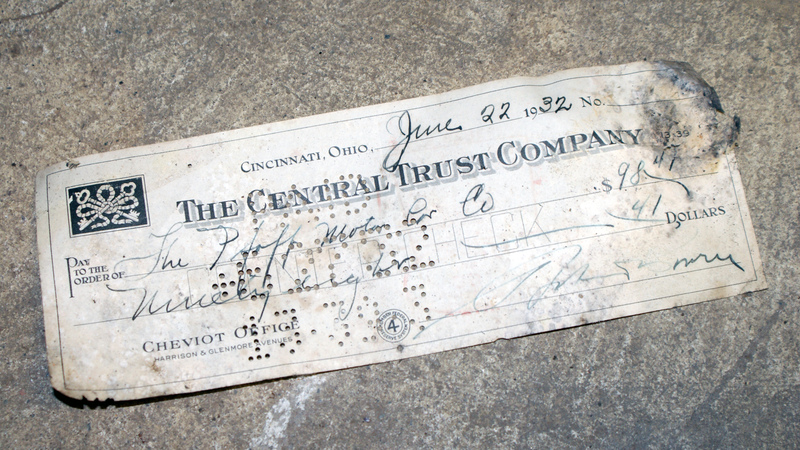 Checks going back to the late 1920s. This one is from 1932. 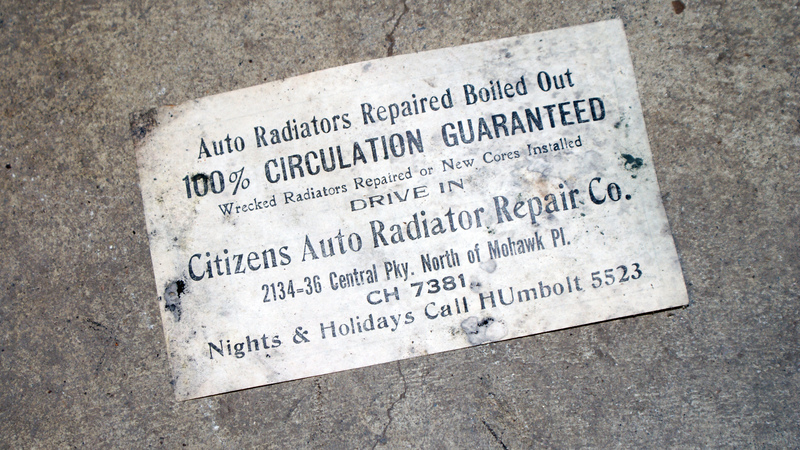 A small advertisement on the back of an order sheet for radiator repairs in the 1930s. 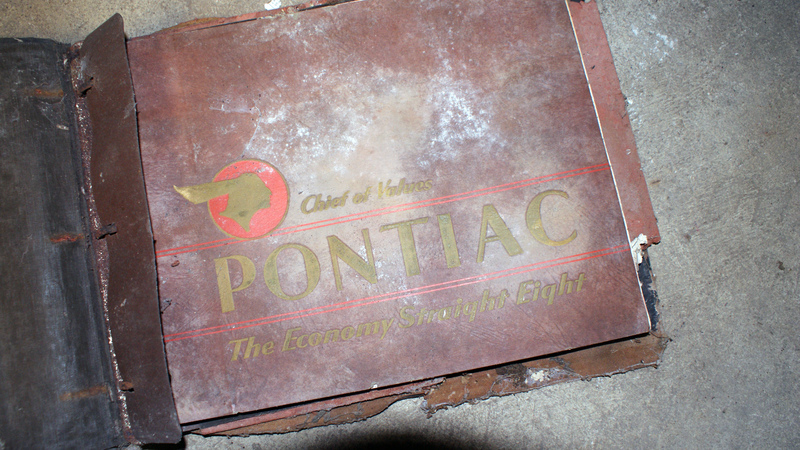 This thick leather-bound book featured some Pontiac sales literature that appeared to be from around 1940. What’s fascinating about this sort of place is that they are becoming harder and harder to find. 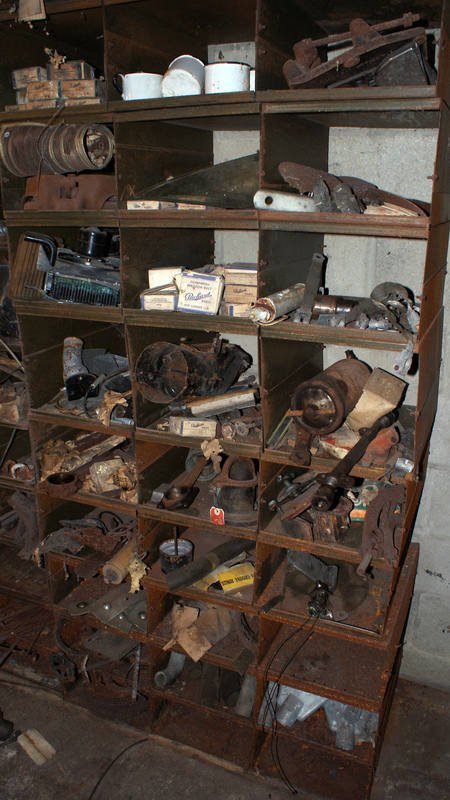 It’s not often you unearth a treasure trove of old car stuff. And even though this one has been cleaned and straightened, it’s still really interesting. And check this out, hanging on the wall is the body (body number attached) from a Maxwell. The Selden tag is still affixed, dating it to pre-1911. It doesn’t look like much, but that’s a piece of history. 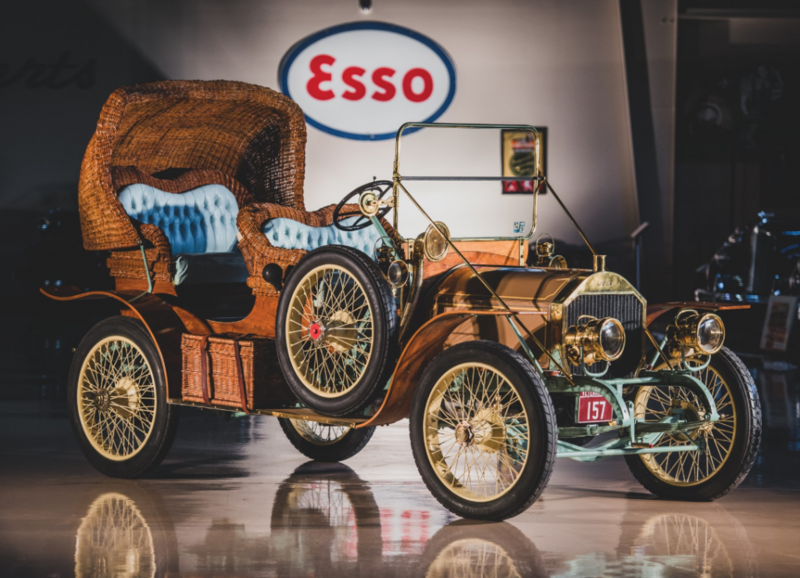 The new owner is a lucky guy and for those of us that share the interest in the history of the automobile, it’s an interesting place. I was lucky enough to be invited in and I thank him for his hospitality. This just goes to show you never know what is hiding in that nondescript building down the street and that there is hidden treasure all around you. I’m going to try and seek out more. 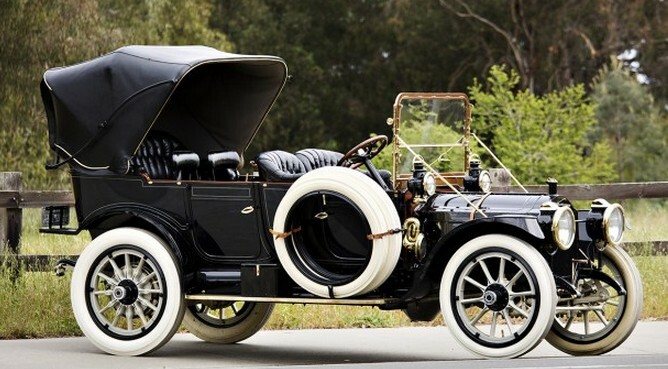 And hopefully someday, someone will rescue that Lincoln chassis and the rest of the parts and get it back on the road. There were a bunch of sales in July (and there’s a bunch more in August). 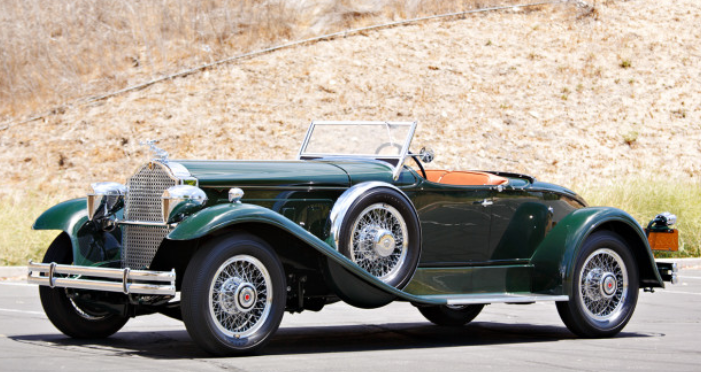 It seems like auction houses are really packing the calendar this year. 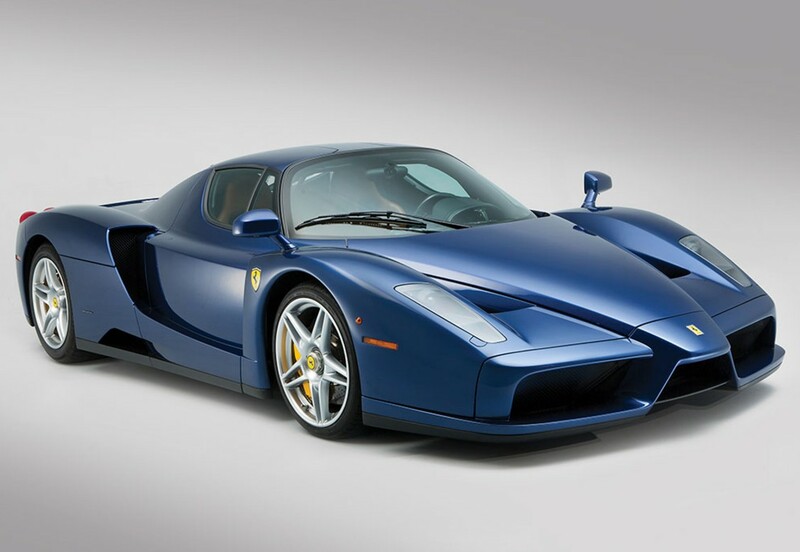 First up in this rundown is RM Sotheby’s Motor City sale. 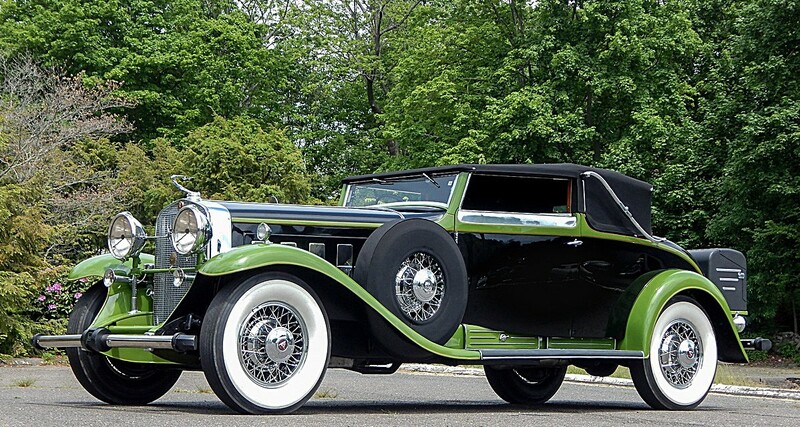 The top sale was this previously featured Duesenberg for $852,500. Both of our new feature cars sold, with the beautiful LaSalle bringing $77,000 and the Ford Explorer Concept $14,300. 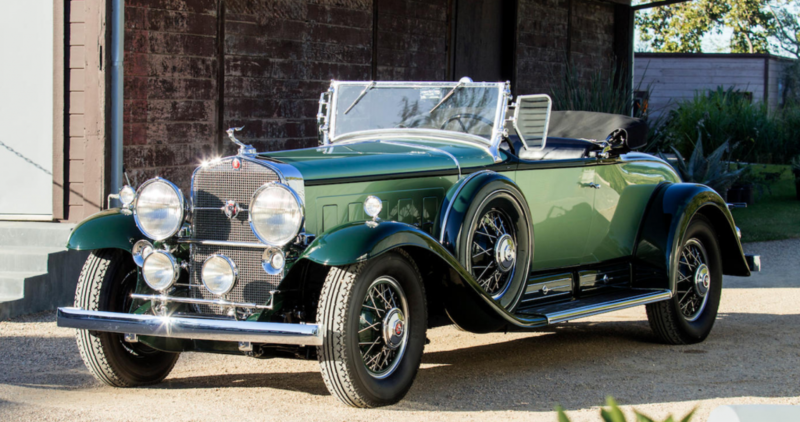 A car we would’ve loved to have gone home in was this 1932 Packard Eight Phaeton, which sold for $140,250. Click here for complete results. 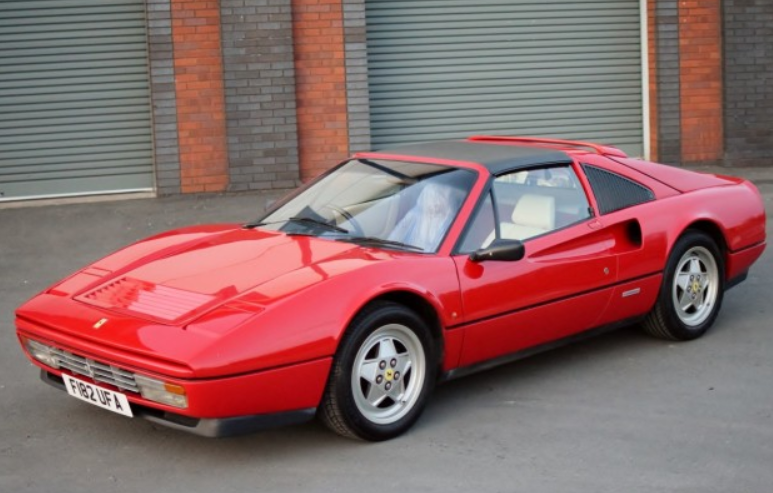 Now we’ll jump to England for Silverstone Auctions’ Silverstone Classic, which they actually broke down into two sales – one for competition cars, and one for everything else. We’ll break it down that way too. 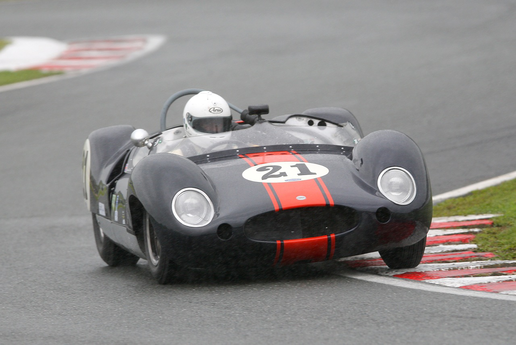 First up, the competition cars where this 1959 Cooper Monaco took top sale honors at $342,225. All three of our featured F1 cars sold, with the 1983 Osella-Alfa Romeo bringing $126,360. The ’86 Osella sold for $70,200. And the engine-less Toleman TG185 went for $48,266. 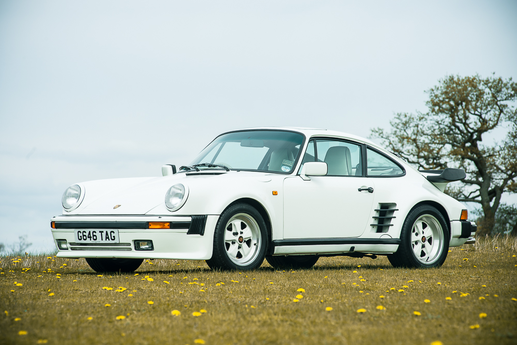 We weren’t able to feature anything from the road car portion of this sale, but the high seller was a 1989 Porsche 911 Turbo LE for $249,210. Click here for complete results. 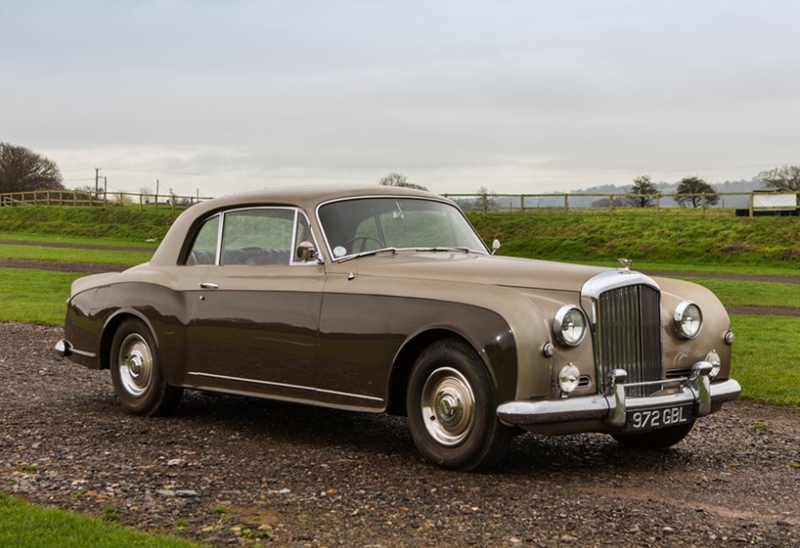 H&H Classics held a sale at Pavilion Gardens near the end of July. 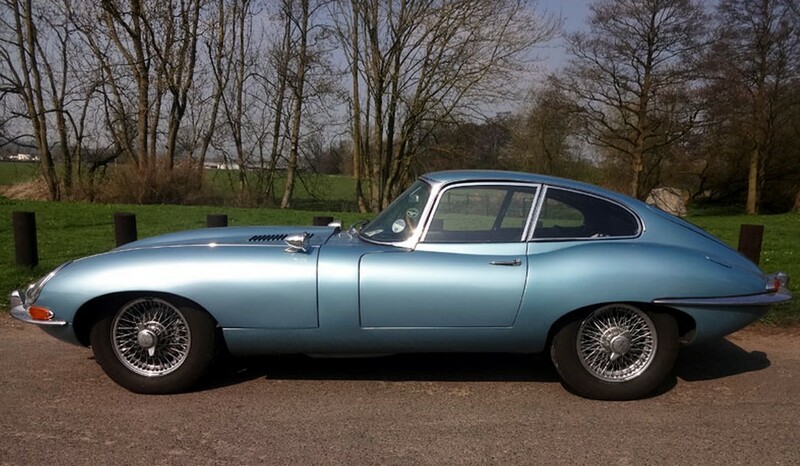 We weren’t able to feature anything from this sale either, but the big seller was this 1966 Jaguar E-Type Series I 4.2 Coupe for $107,530. Click here to see more results, including a host of more affordable cars. 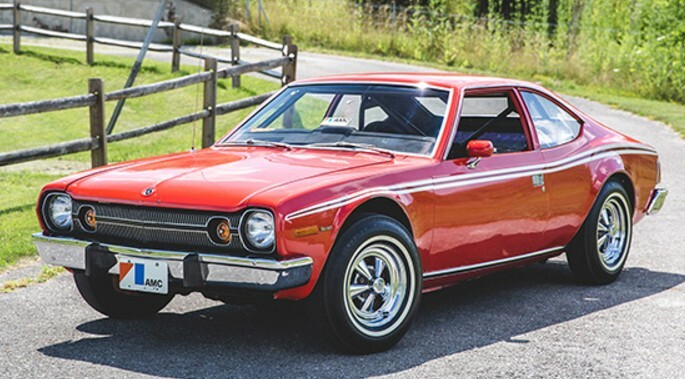 And finally, we bump into August with Mecum’s sale in Harrisburg, Pennsylvania. This is one of those sales where cars are sold at prices mere humans can afford. It’s great. 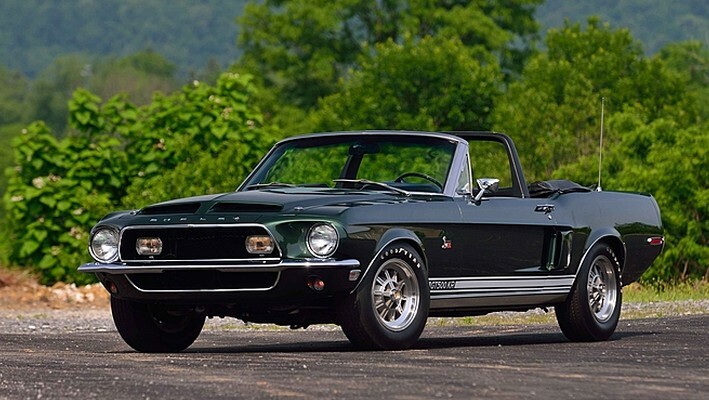 The top sale, however, was this 1968 Shelby GT500KR Convertible for $190,000. Check out full results here.